So what is this moserial? It’s a terminal which allows you to connect to view or send data to a serial port. 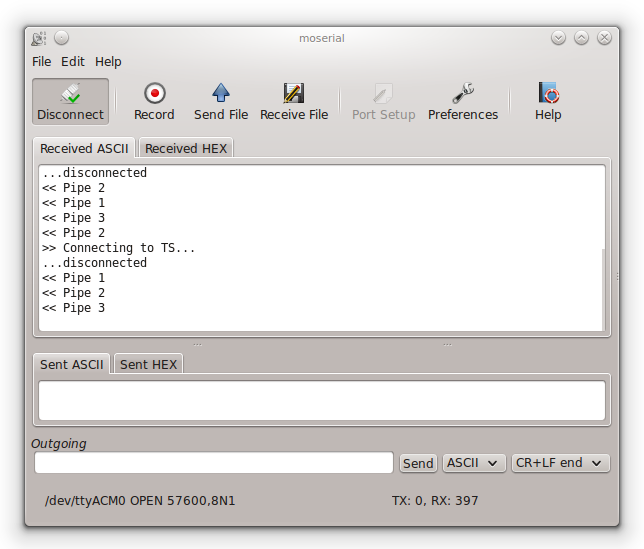 For example, a lot of mbed device or micro controllers, such as Arduino, can be configured to send/receive data via serial port. Before I found out about this program, I normally open up Arduinio IDE and connect to the Arduino via Serial Monitor function. Now, I never look back after using moserial.